ACTING on behalf of private investors, Glasgow and Ayr-based chartered surveyors Allison Lightbody Waddell have recently purchased a mixed retail and office investment at 28 Nelson Street, Kilmarnock, Ayrshire. 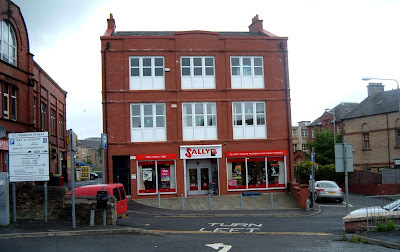 The modern three-storey property (pictured above), which is fully occupied by Salon Services, Welcome Finance and Turning Point Scotland, was purchased for £630,000, representing a net initial yield of 7.5%. For further information contact Anthony Zdanowicz on 01292 430313. There are currently 337 Ayrshire business stories permanently archived on this site. To locate those of most interest to you, please use the site search facility in the top left hand corner of this page. Type your search term in the white box, then click “SEARCH BLOG”.